The National Pioneer Women’s Hall of Fame was founded in 1993 and since 2007 has been located in the former HM Gaol and Labour Prison Alice Springs. The National Pioneer Women’s Hall of Fame is one of two women’s museums in Australia. It is dedicated to preserving the place of women in history for their special contribution to Australia’s heritage and was founded by Molly Clark of Old Andado Station in 1993. The museum has been based in the Old Alice Springs Gaol since 2007, and also explores the history of the Old Alice Springs Gaol. To educate, inspire and empower people by exploring the distinctive history and contributions of Australian women. 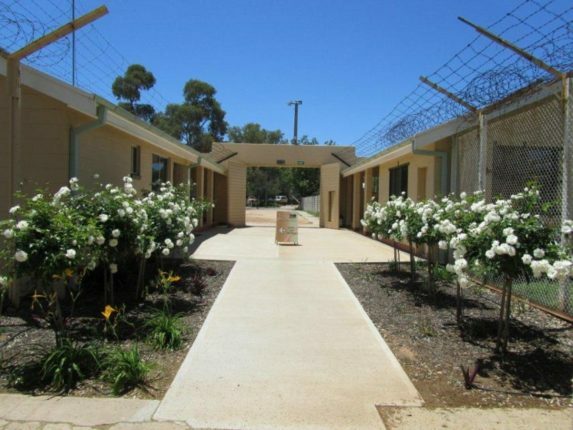 To share the stories and impact of the Old Alice Springs Gaol. An empowered community that recognises and understands Australia’s diverse stories, and embraces a more inclusive future. Inclusiveness – we value diversity, and are committed to sharing new ideas and stories. Integrity – we always show respect and empathy, and act professionally. Community-focussed – we are committed to our local community and its place in the national landscape. Quality – we aim to continually improve and embrace positive change. celebrate the pioneering women of Australia as well as the achievements of Australian women who were first in their field, in a well-presented museum atmosphere. establish a museum recording the history of the Old Gaol. establish a public museum for the purpose of recognising and honouring pioneering women who contributed to the development of Australia, which will be open and accessible to all members of the public during usual and reasonable business hours. assemble, exhibit and preserve a collection of pioneering women’s artefacts, photographs and memorabilia. foster research into the role played by pioneering women in Australia. establish museum displays depicting aspects of the history of the Old Alice Springs Gaol. research and collect recollections of prison life from former staff and inmates. promote the use of the Old Gaol premises by other entities to enhance the attraction of the complex and to generate income. develop relationships and assist other organisations with similar aims. have a safe and accessible complex for all visitors.